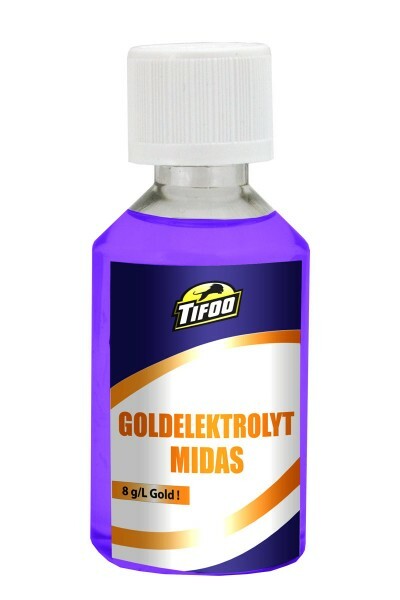 Product information "Gold plating solution "Midas""
The ideal gold electrolyte for brilliant gold layers on various objects. 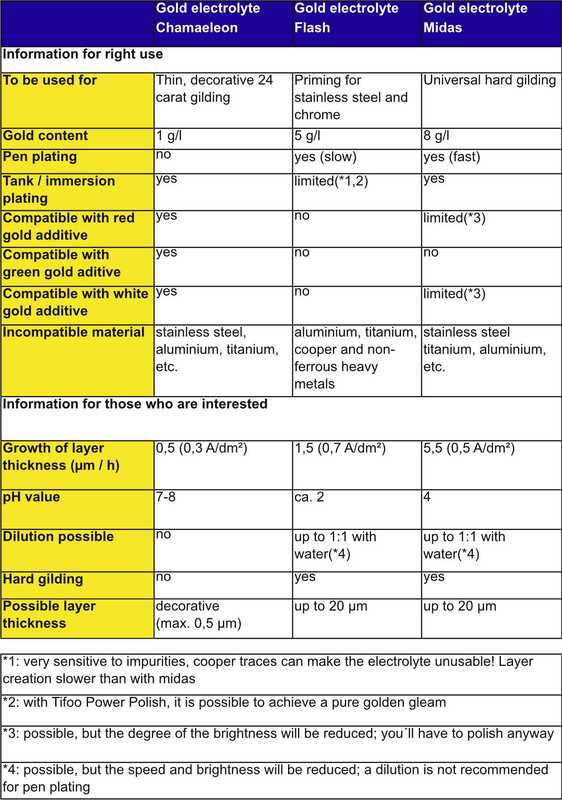 Highly concentrated gold plating solution (8 g/l gold) with a proper content of the hardener cobalt. The gold plating solution Midas is the ideal choice for (hard-)gilding of objects and materials of all types. The plating solution is ideally suited to perform brush plating. Related links to "Gold plating solution "Midas""
Instruction manual for Tifoo Gold plating solution "Midas" as PDF file. Customer evaluation for "Gold plating solution "Midas""